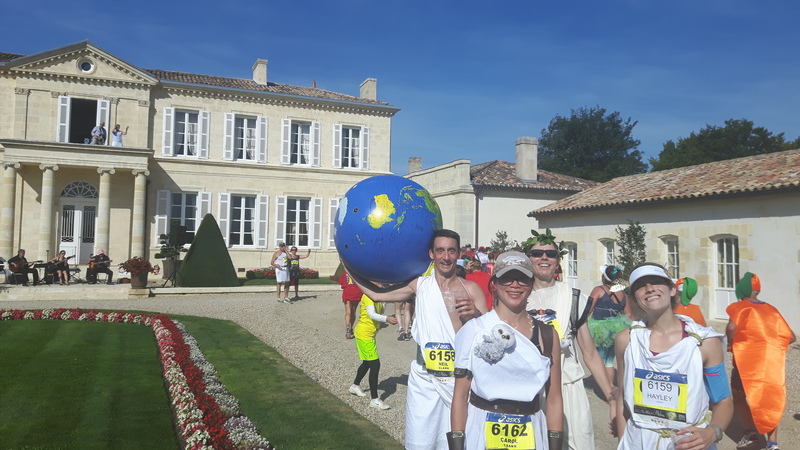 This year’s tour is the ‘premier cru’ of marathons in the Medoc region of Bordeax. We will be going from 6th to 9th September, if you think you can go you must enter on the day entries are released or you’ll miss out. Need some encouragement? How about the report from 2016? Most of you will want the “Startnumber: 88€” package, as the rest of the options add a fair bit to costs. My recommendation would be to drive down via a ferry trip to Caen, its a long way but with the right people in the car the time will fly by – I also recommend getting someone else on your license to share driving duties if possible. Hopefully brexit wont make this too complicated. You can park all day (and overnight if you want to camp) all over the town or in a local supermarket, the locals are very understanding! 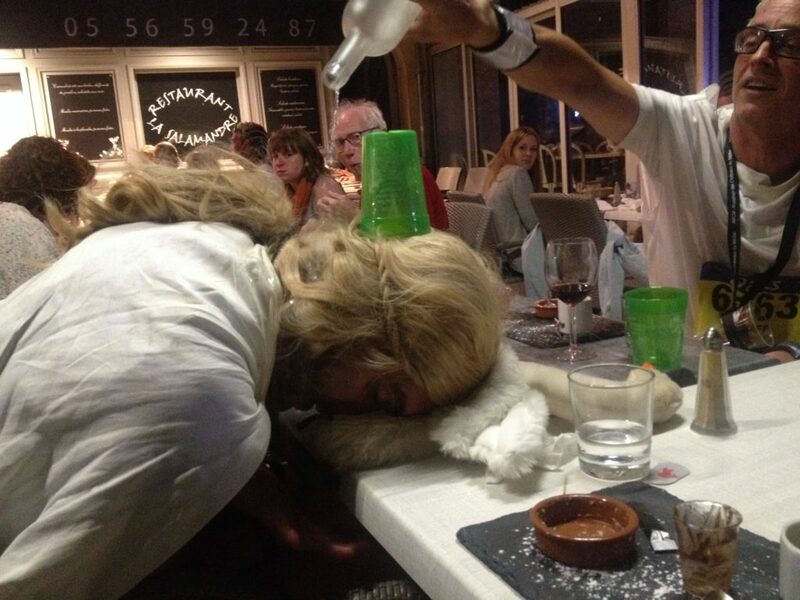 The whole event is about drinking, dancing and merriment, with a marathon distance thrown in. Expect a 6.5 hour marathon to enjoy everything. You don’t have to participate at every drinking station of course, some silly people even run it like a marathon. How about a photo of me enjoying myself? Or of the beautiful chateuax you get to visit?